We’ve had some great applications from Makers across the southeast Michigan area so far. 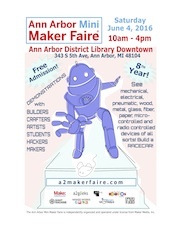 In fact, we’ll be profiling a few of these Makers to give you a sneak peak into the fifth annual Ann Arbor Mini Maker Faire in June. 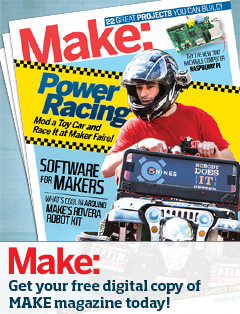 We still have room for more Makers. If you’re interested, you can fill out our application on the main page of our website. Are you accepting apps for the 2014 Fairs? I’d like to know what I have to do to become a Maker at the Ann Arbor show. I would like to get to show at the 2014 fairs as a Maker.